Note the obedience awards shown throughout our site were not added to increase the price of a pup! The simple fact is; those who were shown in the performance ring, were shown to show that particular Dobe's training skills and knowledge of the world of distractions outside the home! So from social, to home, to civil skills, we prepare the Hoytt Doberman by owner requested advancement for its new life, making it much easier on owner and canine to come together and as the saying goes "Live Happily Ever After"! But wait; we have an even more impressive brag. 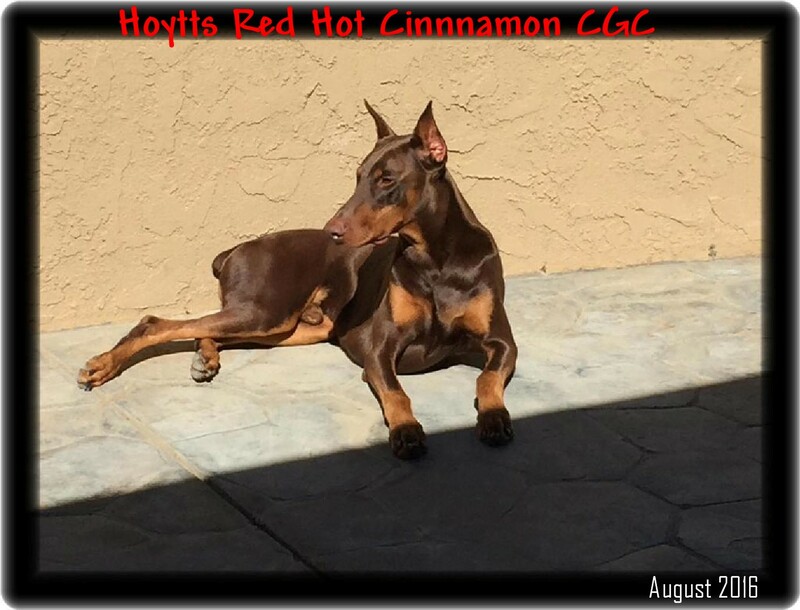 More Hoytt Dobes are being advanced though the American Kennel Club sanctioned performance showing then any other in this breeds history. On another level every one of our owner teams enjoy this part of the dog world. Advancing their Dobe's education through performance is building of a relationship. Extra bonding, a pilot and co-pilot, share in winning. As in any sport the relationship in performance is really as much a satisfaction as accepting an award. We should add that today finds more winning Hoytt Dobes in the performance ring that are being trained and shown by its owners enjoying the special relationship as a competing team. So readers, with the Doberman we are also the top winning educators in our field and if you can afford to keep your Doberman in the best school you are taking advantage of our teams knowledge of the breed both in creation and education before your new companion steps into your life. No more fears about finding the wrong trainers or behaviorists after a pup arrives. 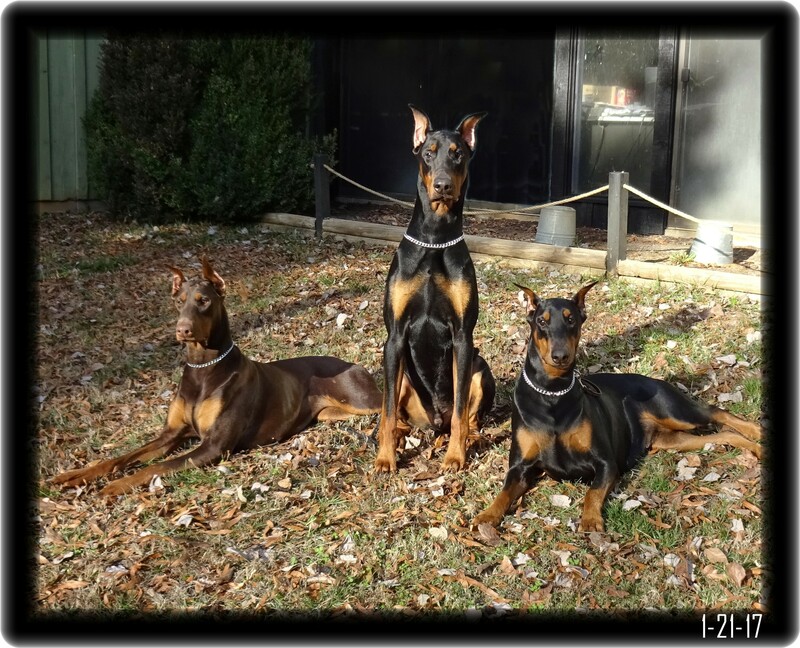 And remember the same teachers who have proved their students to be exceptional winners in front of the AKC judges are the same educators who would be advancing your Dobe's education from our Super Pups and beyond. With the Hoytt Dobermans greatness in all the right areas....our success....attracts those who in their own right are also achievers. Once you study our educational and pre-placement programs, l know you will understand who we are.